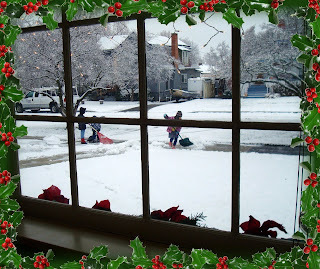 Squash House Quilts: A Winner & the Littlest Snow Shovelers! 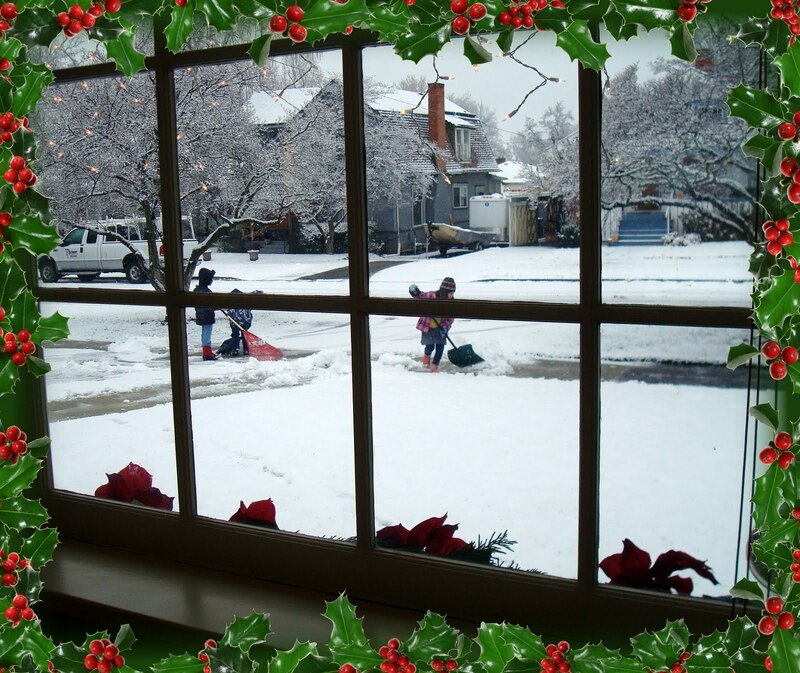 The pics of your little snow shovelers is too cute! Very sweet! Another giveaway?? I might just call you Santa's Little Helper!! Worth every dollar!!! The shovels are as big as they are. Congratulations to the lucky winner. You are definitely in the Christmas spirit!!! Congratulations to the winner! The Belgian Santa gives everyone nice and kind Christmas greetings! Now that picture looks like a winter postcard! They are so cute and so industrious. The kids in our neighborhood want 20 bucks, lol. How sweet! The picture of them working in the snow is so cute! Hearty Congratulations to you and Mr.Squash on the first Anniversary in your new home, Candace. It's fun to see Before and After shots. You've put in so much work and made it truly yours. Cheers to many many more happy years in your sweet home! It isn't often that we see young ones out looking to make money any more. I'd be tickled if a few showed up here to ask to rake leaves. Thanks for picking me for a winner! It was great to get home tonight and see your email. Please send the snow shovellers my way, also :) I could use them. It's always fun to see the pictures on your blog - looking forward to seeing what next year brings! I'm so glad that you took a picture of your little snow shovelers! How cute are they? I love their spirit! Such a sweet group of shovelers - so sweet! What a treat to have them in the neighbourhood. Congrats to Kathy on winning..That photo could easily be a card front. How cute is that...Leave it to the girls to be entrepenurial spirits...Our snow is all melted for the time being..
Sure wish those little girls lived near us. It took Mr CnW and me over an hour to shovel the other day. And.... he was using the snow thrower! Cheater!!! OH, how sweet! The holly border makes it look like a little greeting cards. They probably earned every dollar.